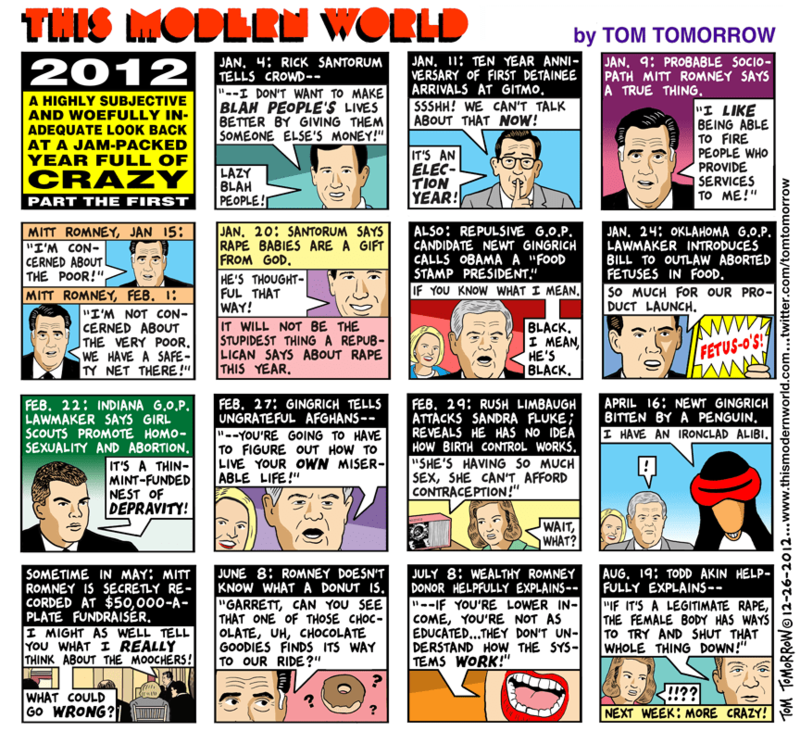 This is always my favorite Tom Tomorrow comic of the year, for bringing back such fond memories! This was written by Iron Knee. Posted on Tuesday, December 25, 2012, at 1:24 am. Filed under Humor, Irony. Bookmark the permalink. Follow comments here with the RSS feed. Both comments and trackbacks are currently closed. ‹ Is the NRA doing for Gun Rights what the WBC is doing for Christianity?